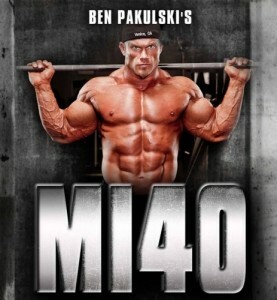 Developed by IFBB Pro Bodybuilder Ben Pakulski (photo), the Mi40 workout program is not a typical training program. Instead, the target audience is those who wish to focus on the most effective ways to eat and exercise to build muscle. Inside the program, the number 40 is significant and has many meanings: 40 exercises with each set lasting 40 seconds, with a 40 second rest period between each set. Additionally, the program cycles after 40 days, lists 40 foods that promote muscle building, and 40 nutritious meal plans. 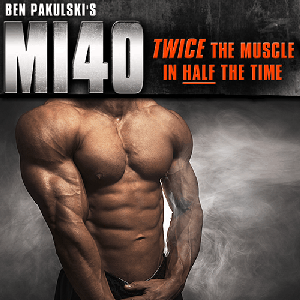 Ben Pakulski is proof that his Mi40 program works. As a high-ranking professional bodybuilder, he used the advice of coaches, doctors, and therapist to create his program. The Mi40 uses strategies that are supposed to increase muscle growth in half the time of traditional methods. He promotes a drug-free workout and using optimal foods and exercises that work together. 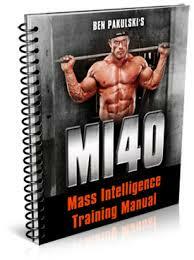 Listed below are the main Mi40 rules of 40 the program is built on. 40 Day Cycle — It generally takes 6 weeks (40 days) for the body to adapt to a new workout program. 40 Day Meal Plan — People using the Mi40 program have access to nutritious meals that help them stay on track with good eating habits. 40 Muscle Building Foods — A list provides users with foods that encourage the body to build more muscles, with the nutrition to sustain the body through the workouts. 40 Muscle Building Exercises — Specific exercises to increase muscle bulk and strength in targeted areas. 40 Second TUT – The optimal “time under tension” a muscle needs to reach hypertrophy. 40 Second Rest — The amount of time a muscle needs to recover so it is prepared for the next challenging set. The program offers three 40-day Mass Guides: Intelligence Training, Consumption Condition, and Proportions Exercise and Executions. Additionally, A Supplement Stack Protocol, Pursuit Calendar, and Prescription Printable Workout Sheets provide more resources and information to successfully complete the program. The step-by-step videos offer 7 hours of specific instruction on the proper procedures for each exercise. A bonus MP3 audio, “Size Secrets Audio Interrogation”, explains Ben’s personal strategies and tips to build muscle even faster. The program is easy to follow and loaded with resources to help you document your progress as you go. I think this makes it easier to stay persistent in reaching your goals. It is also easy to follow, acting like an eating and exercising road map for all 40 days. The informational material is different from any other guides, confirming Ben’s belief that lifestyle changes is built on knowledge. The program explains why a particular food and exercise combination is important, as well as information on proper form to prevent injuries. 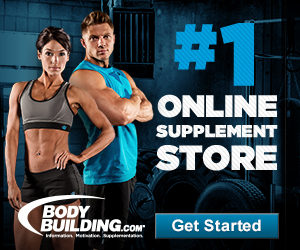 The food, exercise, time frame, and supplement information makes it a more complete program than others on the market. The 40 day program comes with a 60 day money back guarantee. This gives the user plenty of time to use the program to determine if it is the right fit for them. While it costs more than other programs, it also offers more, with a chance to get your money back if you don’t have the motivation to make it through the 40 days. This program is a rigorous one. I don’t feel like it is designed for people who are not already in good physical condition. The overweight or people who indulge in bad lifestyle choices may have trouble being persistent in the 40 day program. I wouldn’t categorize it as extreme, but probably not a good choice for novice or the uncommitted. Because it is so different from other programs, some may be uncomfortable changing their muscle building paradigm. It may hard for some people to buy in to the new theories introduced in the program. However, once a person hits his or her personal plateau, they have little other options other than to try something new. The price of the product is more than other muscle building programs. Although it offers more resources, it may be priced too high for some users. Ben Pakulski has a good program here. His Mi40 workout program is rigorous and seems to be designed for dedicated, and somewhat experienced, people wanting to improve their muscle mass. It has many great resources for helping people get the ideal body image they are seeking. He is a professional in the field and seems to have done his homework on the science behind the eating and exercise plan. I think this is a great program for people seeking quick results to their exercise routine. » Click Here for more Mi40 Information!